Clutch Repairs Reading In order to ensure that your car’s clutch problems will be solved efficiently, it will require the expertise of professionals. Our company has fully certified professionals who will be able to help you with any clutch concerns. It’s important to ensure that your clutch is working properly at all times since it plays a vital role in your safety while driving. 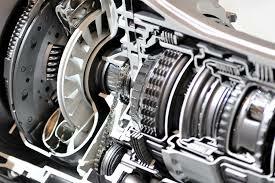 We provide our services to various types of clutch concerns. If you’ve noticed that your clutch is not allowing you to change gears, you can be rest assured that our team of professionals will be able to fix the problem. If you’ve noticed that your clutch is starting to get worn out, we will be more than happy to help you. Since it plays a crucial role on your vehicle’s efficiency, any sign of problem should be checked immediately. When your clutch starts to malfunction, your car wouldn’t be able to work properly. By contacting us as soon as you’ve noticed a clutch problem, you could lessen the damage it could potentially cause. Our company is fully committed in helping you find the cause of the problem and help you solve it. You can trust that our team of professionals will be able to identify the root cause of your clutch problem. We will be able to treat it accordingly to ensure that your car will be back to normal in no time. There are several potential causes which may result to clutch problems. It’s important to consult the expertise of professionals to ensure that you’re getting correct information about the issue. You should be able to get the best driving experience from your car, but clutch problems can become a hindrance to that. Allow us to offer our services for your peace of mind and security. We have been working in the automotive industry for several years now so you can rely on our skills and proficiency. Over the years, we have mastered the skills and techniques regarding the most basic to the most difficult automotive concerns to ensure that our customers will always be satisfied. The most common clutch problem car owners experience is having the clutch disc worn out. Similar to the way your car’s brakes makes use of friction to engage, the clutch uses the same concept. Since the clutch spins against the flywheel where it becomes locked against it and uses the same speed, it will start to wear down. After a significant amount of time has passed, usually when it exceeds the limit of 80,000 miles your car will require a clutch replacement. It’s a process which all cars have to go through after a few years. Another clutch problem that is very common is hearing a grinding noise when you’re trying to change gears. There are also more serious cases where car owners aren’t able to shift gears at all because of a clutch problem. Other clutch problems include the presence of air buildup, a broken clutch cable or the wrong parts have been mistakenly installed. If you encounter any of these common clutch problems, you can call us directly and we’ll be able to provide you our professional services. Our services include clutch replacement, clutch release bearing, clutch cable, clutch fitting and all other clutch problems. Clutch repairs reading has had years of experience in the motor trade industry. Our auto repair centers have served thousands of satisfied customers who continue to rely us for our high quality services. We offer value for money since we understand our customer’s needs. Our prices are very competitive and we are proud to use the highest standards of technology and machinery in the industry. We are often called upon for emergency cases so to make things easier for our customers, our company is open six days a week. You can also take advantage of our pre-booked services which allows you to choose your most convenient time to have your car checked by our team of professionals. Our company is fully committed in ensuring that all your clutch and car concerns will be solved efficiently without sacrificing the quality of service we provide. We will be able to help you solve any other car concerns such as tires, exhausts, turbos, batteries, air conditioner, cambelts, brakes and other servicing needs. A new customer of ours (now at least thanks to Mr ……), came in yesterday with all his warning lights on, on his 2001 punto 1.2, engine wouldn’t start and he was mighty upset. He came in and asked could we help, no problem I said and came out to check the car over. After opening the bonnet I saw the gearbox earth strap loose, it needed two complete turns on the securing nut before it even started to grip the earth strap. I Also noticed the speedo transducer was disconnected! I started to think this was a set up as I couldn’t believe anyone could turn this rubbish out. I asked the customer if I could call Mr ……. to arrange him to pay us directly for sorting the earth and resetting all the screwed up ecus. So I called Mr ……. @@@@@@@@@@@@@@ was the response I got. So I sorted the cars ecus and dropped the price to look after the customer, and here’s the best part of the story. The manager came down from Mr …….. and said that it must have been all ok when the car left the day before, anyway the customer would have to pay the charges and then write to head office to try and claim it back, but as the customer had not called Mr ……. first they wouldn’t pay. I spoke to our customer and asked if the manager had come in and seen him, “no” he said, “was he here?”. I started talking to this guy and he said that the clutch had been changed the day before, his second in 9 months. But here’s the rub, because the clutch wasn’t changed under warranty because the warranty inspection had not been done every three months?????? Can this really be true that they can get away with this and get out of a 1 year warranty because it hasn’t been inspected by their guys, what are they going to do to inspect a clutch? Take it out again and then pop it back in?????? Is this Mr ……….. policy or are they just taking the p…? or if he had managed to get the person or garage that fixed it in the first place to have a look, what other excuse would they have come up with to make the customer pay again and again so basically with this outfit a warranty does not even exist what exists is excuse after excuse to get out of supplying bad workmanship that basically gives us all a bad name, do not get me wrong mistakes can happen but hold your hands up and at least put it right, i believe in this motor trade business honesty is everything i understand nobody is perfect, buy you will keep your customer if you are honest with what the problem is. I now have a grateful customer who has realised that you get what you pay for and The service doesn’t always cost as much as you may have thought, plus we fit New Quality parts and not cheap reconditioned parts from Asia or China, when getting quotes from Garages please cover these facts and ask your self why our quote is 80/100 pounds more expensive, if we are using genuine quality parts and our competition is using cheap recondition parts then this will be why the price difference, if you are planning on keeping your car long term this can cause you massive problems further down the line as using cheap recondition parts will only cause the clutch to fail again and i can assure you whoever has completed the job will always have a excuse to why it is not covered under warranty, so think outside the Box don’t look at what you may be saving now think about what you are saving in the future, so there will be no having to return to the garage that carried out the repair, no extra money to pay and no wasted days with no car to get from a to b and time of work if you need it to get you there. So avoid using Fast fit centres especially for Clutch Repairs or General Servicing as these jobs are not quick repairs they are 5/6 hour repairs, So Get to know a Family Run Garage Like Ours at The Clutch repair Centre Reading, We Have Over 25 Years Experience in The Motor Trade and we have many reasons why you will use our services And Of Course Keep Coming Back to us please read our reviews this are very important in this day and age. The price we quote is what you pay, nothing More Nothing Less,Sometimes You Get that bolt or screw which just will not budge ,We persevere and Contact You But You always know where you stand with us. We Guarantee Our Work which is 12 Months Parts And Labour Warranty For Clutch Replacement And Cambelt Replacement and most other repairs. parts can fail but to you the repair is free we put a warranty claim into the parts supplier and bill them for our extra work, and not you our customer. We Guarantee A Honest Reliable Service because we want you to come back to us, we do not work on mass production, we work on Quality workmanship because we want the job to be right first time every time ,and we want you to be very happy with our workmanship because we want you to recommend us to your friends and family which is the best form of advertising money will never buy. If you would like a quote for a clutch repair reading please fill out our quote form with your name and address Telephone number and Your registration Number of your car, we need the registration number to enable us to get prices for parts as they vary massively from car to car.